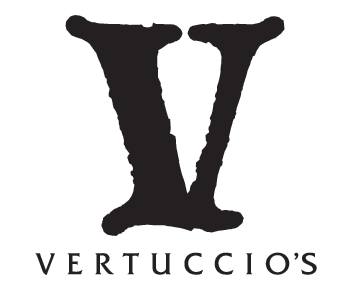 I was contacted by Stephanie Abrams @ Gabbaroo.com (now SocialFlyNY) to create a logo design and website for a new italian restaurant in the Williamsburg neighborhood of Brooklyn, NY. 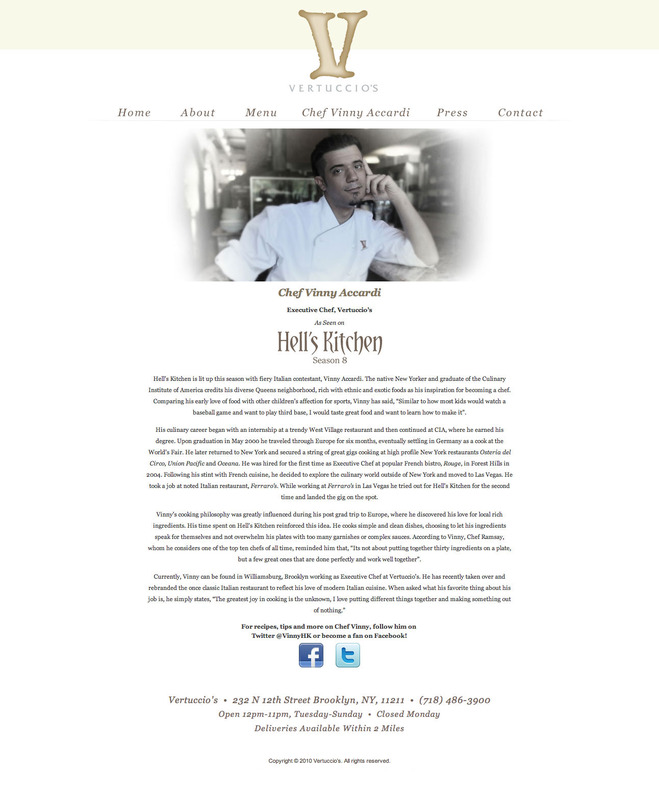 The head chef was Vinnie Accardi, who had recently been a featured competing chef on Gordon Ramsay's Hell's Kitchen reality television program. 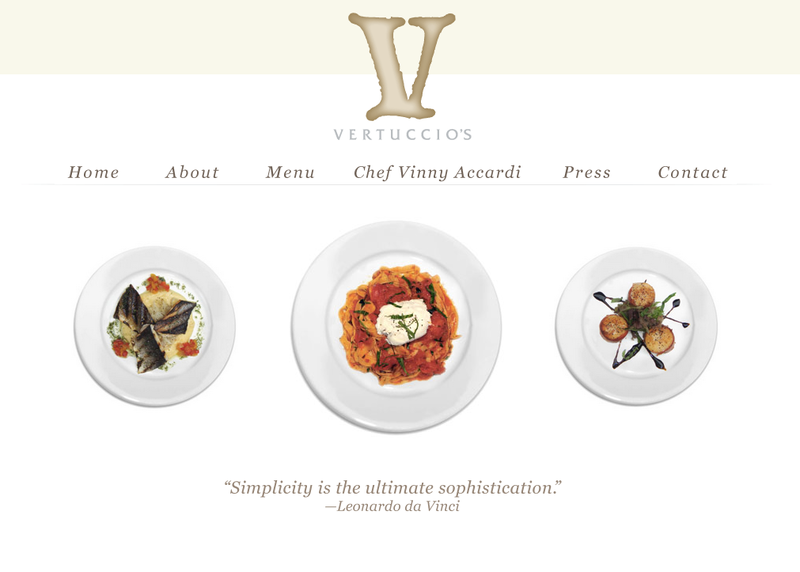 I collaborated with Vinnie, Stephanie and Vinnie's publicist to create the final result featured here. Unfortunately the restaurant is no longer in business and the website has been taken down shortly afterward. I have featured a mockup of the original website on my own web host: mockup link here. 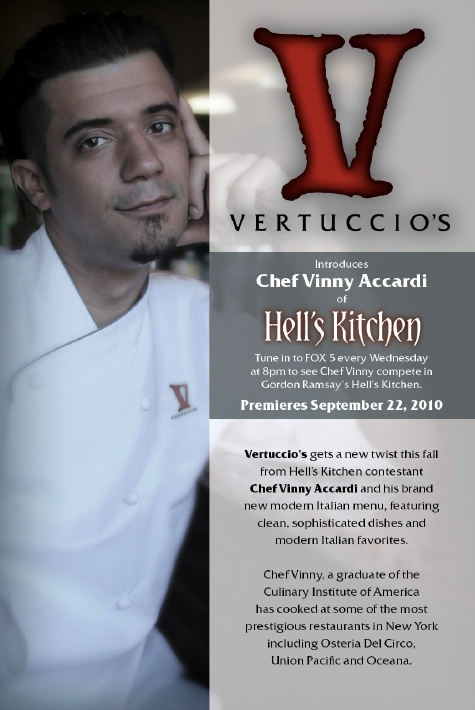 Promotional materials for Vertuccio's, featuring Chef Vinny Accardi of Gordon Ramsay's "Hells Kitchen"